Bforartists 0.8.0 is out. Version 0.8.0 brings the new Toolbar editor. Which was the main work for this release. The buttons to switch between modes are removed again. 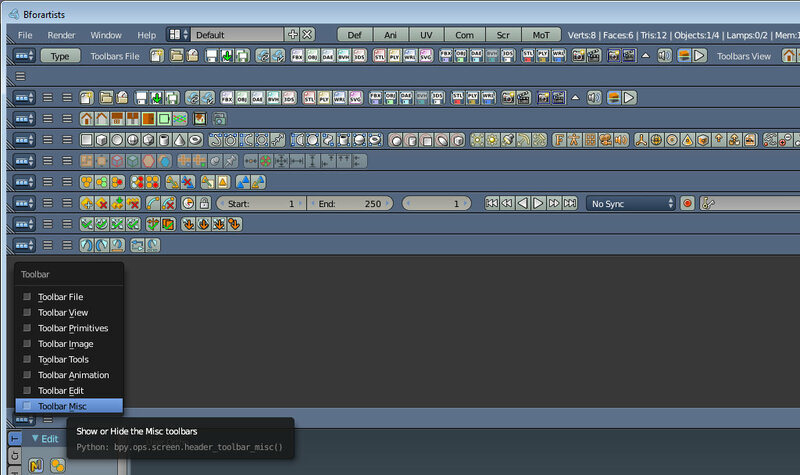 We have a new theme from Tetsuoo, called Cinema4D. The Node Icons Panel addon is added. The Mesh Tools / Set Dimensions addon was added. And a few other small things are changed. This release is a special milestone. 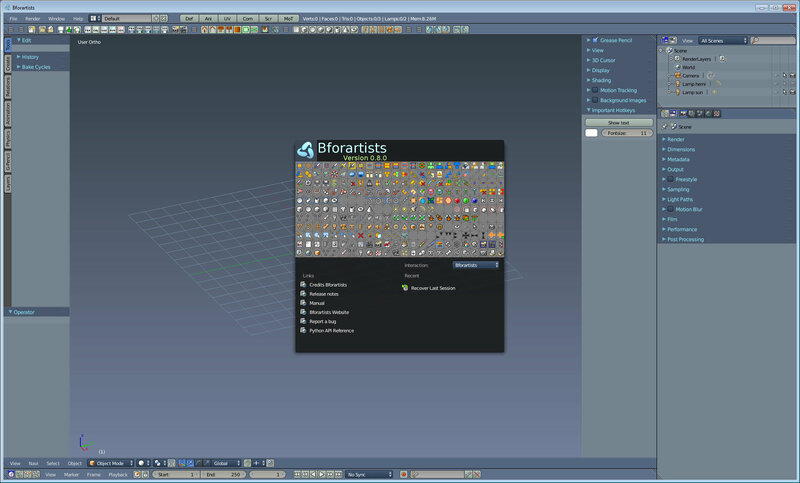 Bforartists is basically feature complete. I have changed what i was able to change with my limited man power and knowledge. What remains is fine tuning, refinements and some small changes. Two big steps are remaining now. The port to the newest Blender version. Currently 2.78. But Bforartists is not only code. It's also documentation. There's a ton of video tutorials waiting to be created. The manual is also still a big mess. And this second step will most probably eat even more time than the port.